Lile International Companies has been a leader of the transportation business in the Pacific Northwest for over 50 years. Currently owned and managed by sisters, Barbara Lile and Diane DeAutremont, Lile International Companies is certified by the Women s Business Enterprise National Council (WBENC) as a Women-Owned Business with 11 branch locations in Seattle (Kent), Tacoma, Spokane, Vancouver, Bremerton, Centralia and Longview, Washington and Portland (Tualatin), Salem, Eugene, and Medford, Oregon. Lile was founded in 1959 when Wendell B. Lile purchased the assets of a small household goods moving and storage company in Tacoma, Washington. 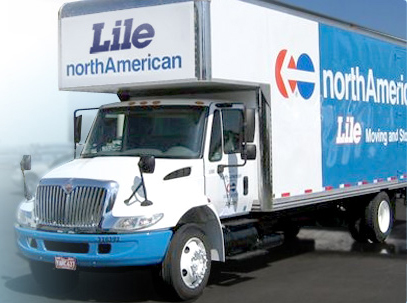 Since establishment, Lile has grown significantly in operating locations, revenue and markets served, yet remains committed to providing claim-free, reliable, customer-focused moving and storage services to our customers. Lile is ranked as a top 10 North American Van Lines Agent, has received numerous awards for safety, and is an Accredited Member of the Better Business Bureau. We specialize in the transportation of household goods including local, long distance, and corporate moves as well as government and military relocations. Lile also has a strong presence in commercial relocation which includes office moving, warehousing and distribution, and specialized business logistics solutions. By sharing your experience with Lile International Companies Tigard , it will help other customers to make a right choice of using this company. Agent National Van Lines, Inc.
Lile International Companies-Tigard has submitted for evaluation and got selected over 3000 companies nationwide. We sincerely congratulate Lile International Companies-Tigard for their wonderful performance.